This Luxury high-rise condominium project exemplifies the true spirit of our collaborative practice in that there is no project too far away whereby we cannot powerfully affect the much-enhanced quality of one’ s living experience. The sequenced gardens of the Parksquare Kichijoji-honcho Condominiums instantly engage the thousands of this “community’s” Inhabitants who stroll through on their way to and from their otherwise bustling daily lives. The central garden is constructed around three square and rectilinear reflecting pools and fountains with prominent island-like planters that further create intimate seating niches. Described as the “Archipelago Garden”, this space is constructed entirely on podium. 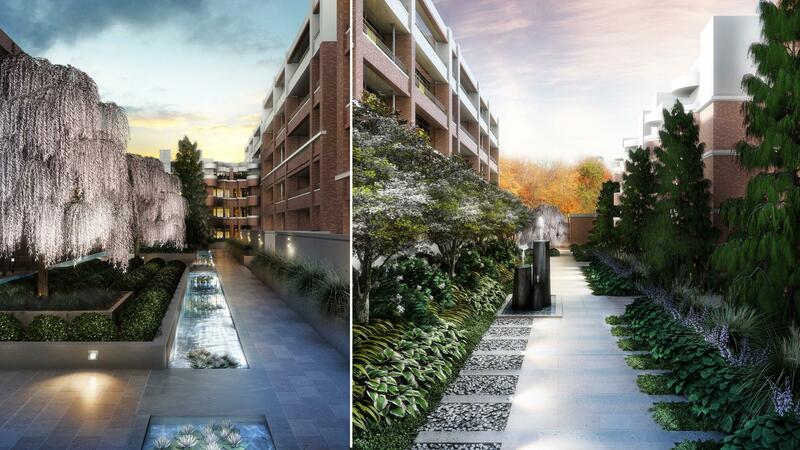 Interstitial gardens between the 12-story building towers are as much about pedestrian level experience as they are for Woodland viewing from each living unit. A large commanding specimen tree within the lobby entry garden, and layers of tall hedges and shrubs along the buildings’ perimeters, begets the unique identity of this property within its dense urban matrix. 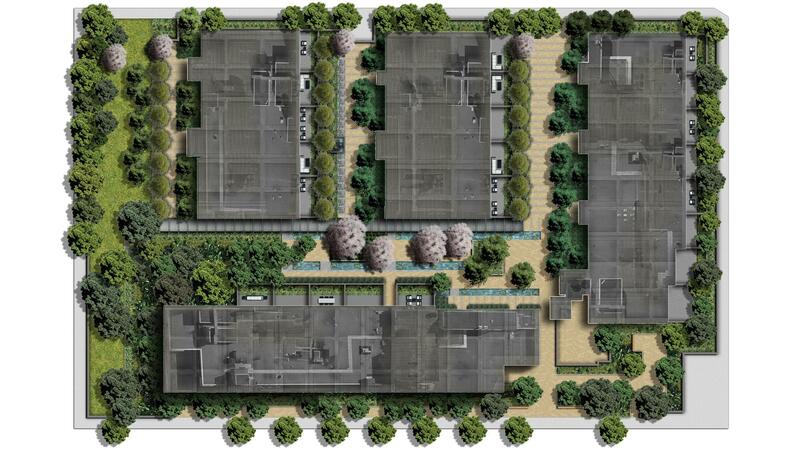 Screening of adjacent offsite utility structures was proposed through use of a self-sufficient geodesic-like “green wall” system, supporting a mixture of evergreen vines and plants in all seasons.